Only a short distance away from Jalandhar City Railway Station, Hotel Ranvir Prime offers a range of amenities for a worthwhile stay for its guests. 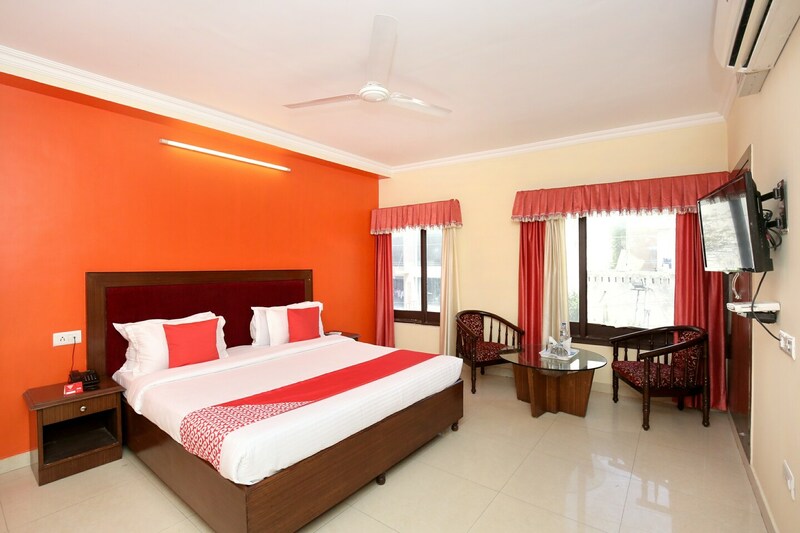 Expect a pleasant surprise as you enter your room with bright and warm wall colours, soothing natural light streaming in from the windows and comfortable furnishings for a relaxing stay. Guests can enjoy some tasty treats at the in-dining restaurant and even avail the services of the dining area and banquet halls if needed. A bar at the hotel serves as icing on the cake. Some nearby eateries are a bonus. Nature lovers can also enjoy a nice long walk at Nehru Garden, a short distance from the hotel.